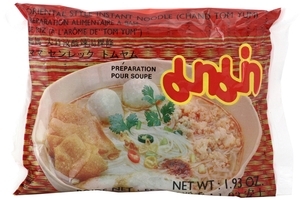 Mama Oriental Style Chand Tom Yum Instant Noodle in 1.93 (55g) pack. Instant noodle soup with hot and spicy Thai style Tom Yum. Product of Thailand.